Hopkins Fundraising Consulting compiled the feasibility study and Lott3Metz drew up the architectural plans. Picture this: Instead of a braid of 122 wooden stalls flanked by gray space, immediately eye-catching about the lot at 1147 E. Fulton is a sign. 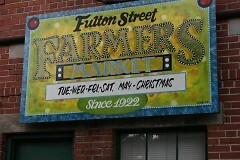 Fulton Street Farmers Market, it will say, framed by a hospitality building to the left and shaded benches to the right. Several phases and years in the making, the plans are drawn up, and Midtown Neighborhood Association is ready to curry favor for the next phase: the capital campaign. The campaign will kick off at 1:30 p.m. tomorrow with a design unveiling at the market. 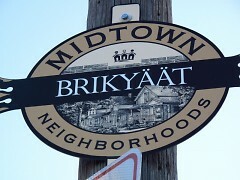 The culminating design has its origins in a Brikyaat development plan, seeded in 2006. 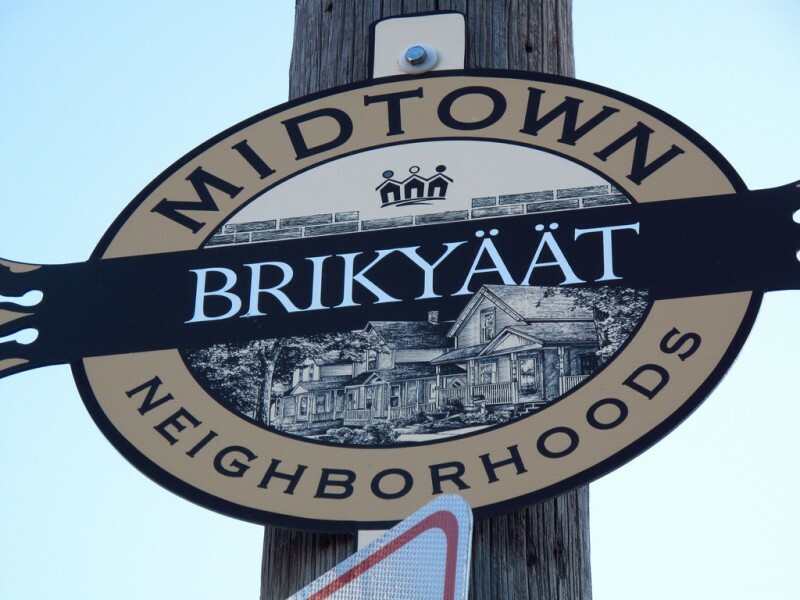 Brikyaat is a subneighborhood in Midtown, and the plan called for historic preservation of the traditionally blue collar area, cultivating the business corridor and improving the farmers market. "In residential, we can nudge, nudge, nudge, but we're not a development company. We're a neighborhood association," said Christine Helms Maletic. Christine was board president of MNA in the early 2000s and under her leadership, MNA received funding to pursue the Brikyaat development plan. As an independent nonprofit consultant, she shepherds the FSFM development project for MNA. 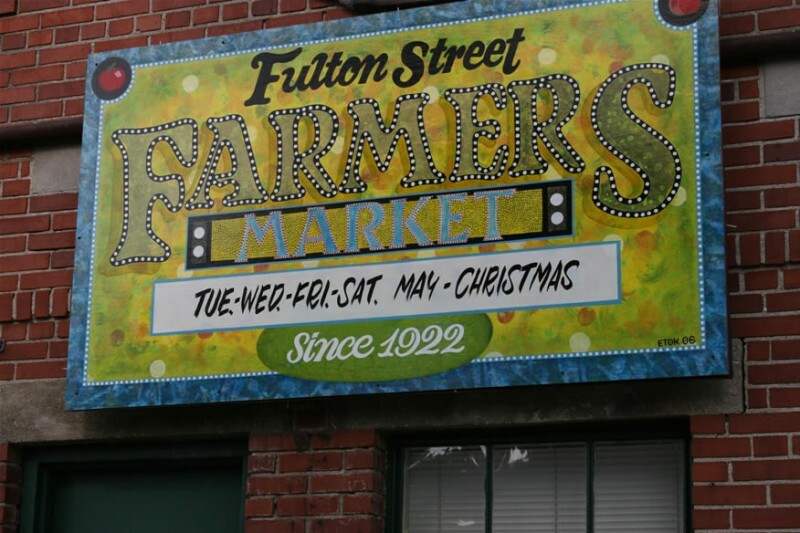 "As a nonprofit, we had to look at what makes most sense for us to do in terms of neighborhood improvement, and for us, it was the farmers market. That's the part of the Brikyaat plan that has been moving more quickly than the others." It may be the furthest along, but it was by no means a quick process. Over the years, Christine has attended countless block club meetings, engaged the MNA board and business associations, landed grants to fund a feasibility study and architectural plans. All was subject to the whims of a flagging economy. "We kicked it off with a neighborhood charrette," Christine said. "We had 40-50 people from the neighborhood—stakeholders, business owners, city people—it was on a Saturday, and we spent three hours, making drawings saying, 'if nothing was here in these eight blocks, what would be cool to put here?'" The group melded their ideas with the current reality of the market. They also emphasized the rustic charm of the current market and a distaste for demolition as a consequence of expansion. It was plenty for Christine to filter, along with findings from the feasibility study. "Don't let the architects drive this plan," one feasibility study interviewee cautioned. "This shouldn't be the Taj Mahal." Keith Hopkins of Hopkins Fundraising Consulting churned out the feasibility study in July. "Respondents believe that the market is one of the few places in the region that appeals to an eclectic mix of area residents - urban and suburban, wealthy and moderate income, professional and blue collar," he said. Once the initial plans were drawn up, Christine corralled the year-round vendors and organized an all-vendor meeting with 80% representation. 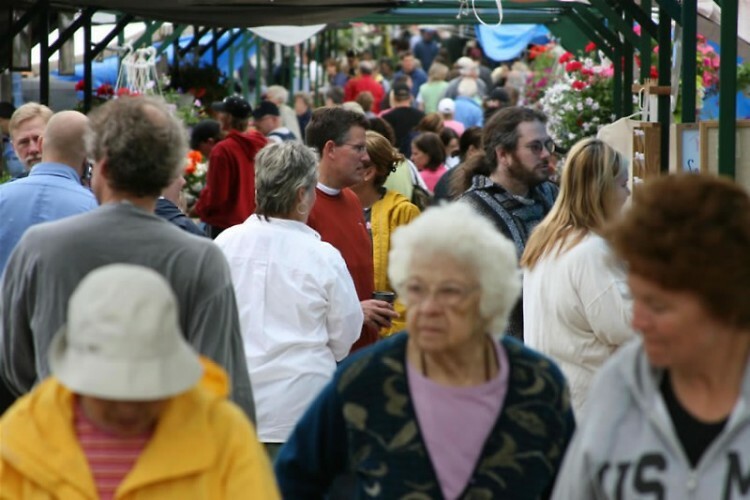 "The site plan of the farmers market is completely different than it would have been if we had not gotten their input. We based our initial drawings on the Project for Public Spaces' recommendations." The first go-around divided the market into vending on the south side of the market while customer parking was tiled to the north. "Everybody's concerned about parking. On Saturdays, this place fills up like crazy, and to find a parking spot, it can be like 15 minutes. It's a mess," said Case Visser, a year-round vendor whose family has farmed for four generations. Case often arrives at the market between 3:30-4 a.m. Although this is early, he shared the same concern about the original plan as many other vendors: There would be no place to replenish products in a quick and easy fashion. By prioritizing customer parking, it was the vendors who would have to meander around Brikyaat in search of a place to leave their massive vehicles, still brimming with products. Case went on to represent the vendors on the FSFM development committee along with fellow farmer John Platte. Due to their feedback, the new market plan augments the single aisle that presently exists. "It was a great honor, it was something I've been doing ever since I've been a little kid," Case said. His grandfather first brought him to the market at the age of 3. "Visser Farm has been around since 1904, and just taking on that responsibility and loving what I do and just helping out this place the best that I can [is important]." The plan has greening techniques drawn into it and will make it possible for the market to continue year-round. "No matter what our budget does, we're still going to be able to get silver," said Ted Lott of Lott3Metz Architecture, who is aiming for LEED certification, an environmental construction standard. Market Manager Melissa Harrington is glad that accessibility was a priority. "There was a study done by housewives in 1928 of all the markets in the area giving recommendations on how to make them better, and for this market they came back with five different suggestions," Melissa said. "One was covering, one was to fix the parking issue and the traffic congestion, so I guess we've been in the works for upgrading the market since then." The capital campaign phase is next in a trail of other phases—neighborhood assessment, feasibility study, design plan—and will be followed by a construction phase, eventually to be topped off with a grand opening. "On the 31st, we won't be talking a lot about specifics in terms of budget. We just aren't there yet," Christine said. "But we didn't want to have a big public process for the design and then sit on it for six or eight months until we got our capital campaign act together. We really wanted to make sure we share our design with the public." The public is invited to view plans at the market at 2:30 p.m. tomorrow. Following the unveiling, the plans will be posted on the MNA and FSFM sites.